The conceited complacence of Simon Russell Beale’s King Lear is made clear from the outset of the National's new production when he turns his back on the audience to carve up his kingdom between his three wayward daughters. This little Napoleon does not deserve the love he demands or the sympathy of the people watching. Yet over the following three hours an extraordinary metamorphosis occurs. We watch this arrogant humpty-dumpty’s soft shell cracking before he unpeels himself, exposing everything, right down to the bleeding yolk inside. A country, a family and a mind disintegrate in a nightmare vision that draws on the clotted iconography of the twentieth century – wars, torture and poisoned nature – the handiwork of a hundred fools who set themselves up as kings. 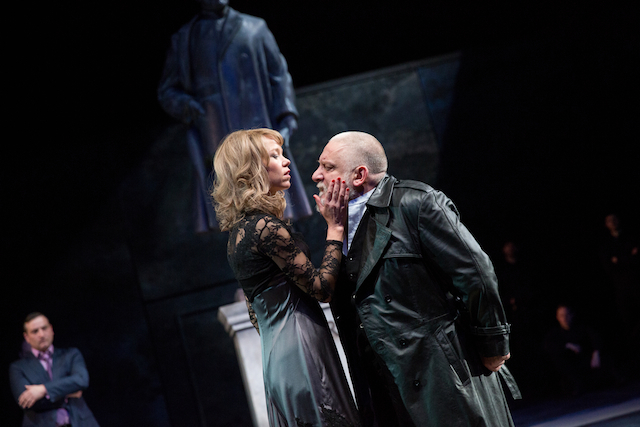 So often a production of Lear can feel like a weird fairy-tale, with the plot drifting by on dream logic alone. Not here; director Sam Mendes ties the tragedy to the world we live in, where institutionalised barbarism is an everyday reality and we are often guilty of the inertia that allows its existence. The brutal eye-gouging scene, for example, is stomach-churning enough, but the water-boarding that’s served up before it as a sickening amuse-bouche, underlines the fact that the jack-boots still tramp on unchecked today. There is plenty of shock and awe in this King Lear, but it’s the emotional heft within it that left the audience shell-shocked. When Lear wakes up in his prison-asylum and recognises his youngest daughter, the tragedy of this temporary reprieve from madness and suffering is enough to set off the tear-ducts in the audience like land-mines. 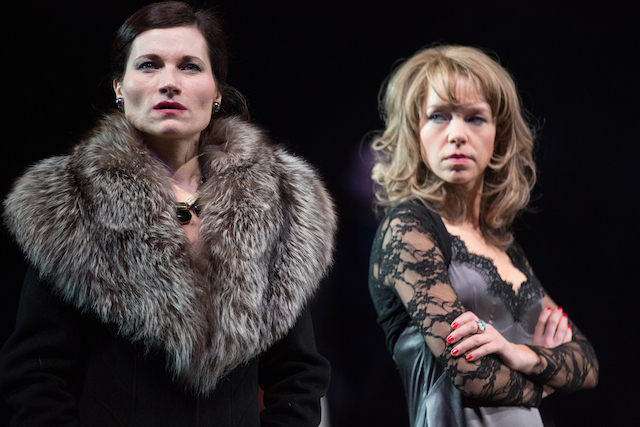 There are multiple coups de théâtre, each one by turns deft and clever and very often sublime. But what’s truly impressive is the way these magic tricks merge together into one seamless flow. Nevertheless, the real show-stopping (and heart-stopping) moment comes midway through the first act, when the broken monarch, lost on the heath, climbs the rising floorboards to bait the lightning and confront the gods – a dizzying grotesque parody of Rio’s Christ the Redeemer. This is a towering achievement – bold and bleak yet also hideously beautiful. 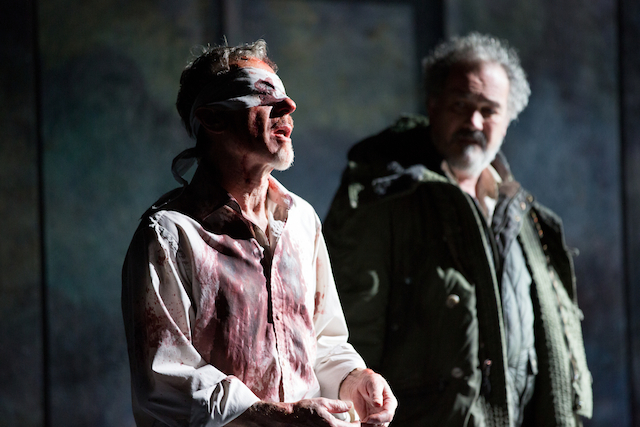 King Lear is on at the National Theatre until May 28th 2014 (more tickets available in February). Londonist saw this show on a complimentary ticket.